LEITH Athletic under-14s, both squads, line-up for a historic picture to mark the presentation of the first 'Team of the Month' Award from Local Heroes contributor, Ian Mackay. The huge squad were presented with six training balls and two match balls as part of their award at a training session at Goldenacre, with a framed team picture to go up in the walls of the pavilion at Leith Links also handed over. These awards, initiated by Ian Mackay, will be given to a team/club/individual each month in recognition of the magnificent work currently being done by the wonderful volunteers who give their time, talents and money to organise community-based football in the South East Region of Scotland. Leith Athletic under-14s won the award for November, during which they established themselves as one of the best teams in their age group. All schools, youth clubs, girls teams, women's teams and amateur football deserve awards for their exceptional input into the sporting and social lives of young people. Hopefully this monthly award will be seen as some form of recognition for this valuable work among yong people. TWO Midlothian leisure centres have achieved highly commended status within Quest, the UK-wide quality scheme for the leisure industry. Loanhead and Mayfield Leisure Centres both achieved a high score of 75%. Quest is the recognised industry standard for the management of sport and leisure facilities throughout the UK and has endorsement and support from Sportscotland. It is based on the concept of continuous improvement, which means that in order to achieve high standards all areas of the leisure centres operations need to be reviewed and improved on an ongoing basis. Rigorous independent two day assessments at each centre were supplemented by mystery customer visits. Each centre was rated on a number of areas including customer care, cleanliness, housekeeping, management of health and safety, and marketing. Jan Murray, Senior Support Assistant at Loanhead Leisure Centre said: "On behalf of our staff and customers, I am delighted that the centre has been recognised in this way. As facilities are retested every two years, Quest ensures standards are maintained." Matty Davidson, manager of Mayfield Leisure Centre at the time of appraisal, said: "This award reflects the hard work of the staff and the new centre manager Jim will work with them to maintain this standard. Ultimately it is our customers who will benefit from our recognised high standard of facility and service." Facilities are retested every two years to encourage continuous improvement. 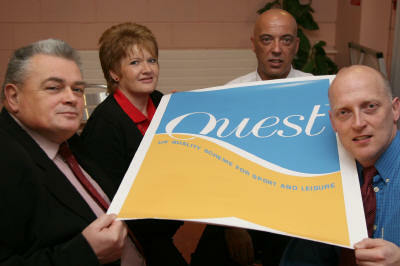 In total seven of Midlothian Leisure Centres have now achieved Quest accreditation. Cabinet Member for Leisure, Recreation and Sport Councillor Bob Jenkins said: "I am absolutely delighted that the high standards set by the staff at both Loanhead and Mayfield Leisure Centres has been recognised by Quest. They have worked hard to achieve these awards. These leisure centres are now recognised as amongst around only half a dozen centres in Scotland to have been merited with this level of award by Quest. "Midlothian Council strives to continually develop and improve our service and facilities to meet current demand. The Quest scheme is a further bench mark to encourage continuous improvement in service for the benefit of users." 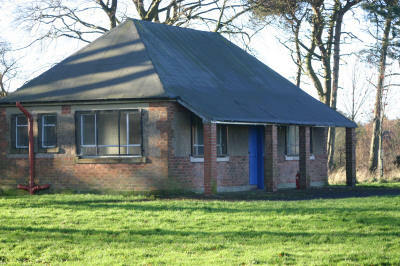 The dilapidated old pavilion in Currie Park. These are the facilities for football teams at SIGHTHILL Park! The place is totally unhygienic and filthy. Saturday, December 2, at Warriston Playing Fields, 9.30am! I visited the redeveloped Meggetland yesterday and came away sick to my back teeth. Everyone concerned with minor-grade football should see what our politicians have done for a professional rugby club, Boroughmuir, to the detriment of football in particular. 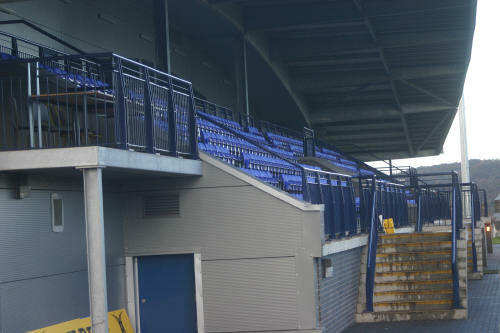 It is another scandal and an inquiry should be launched in to how and why a club such as this has been provided with such massive and wonderful facilities on public owned property and funded out of public funds following the sale of ground to a housing developer. 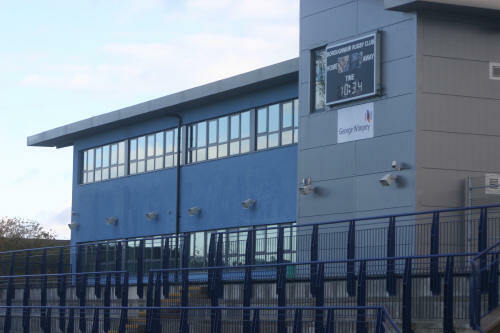 Community football clubs, representing around 20,000 young people in Edinburgh, are systematically starved of financial and logistical help from this council of ours, while Boroughmuir Rugby Club and many others throughout this city are given public money to build licensed premises on school playing fields, such as Meggetland. But I have never seen such blatant cronyism, favouritism and downright elitism as such a level as to be seen at Meggetland. How this was done and by whom, should be the subject of a criminal investigation in my humble opinion. Our young footballers play in the most appalling conditions imaginable but rugby, it appears, with the help of senior councillors get all the help they want at the public's expense. Is that fair, Annette. I do not think so and, in fact, I am struggling to contain myself at such a gross injustice. Prior to going to Meggetland, I went back to see what had been done at Double Hedges Playing Fields. I came away splattered in mud after looking round the changing facilities for young footballers to use. You can read the comments I got from several parents, teachers and school team coaches when these are published. Best wishes, from Ian. PS - I will send you pictures of (i) Double Hedges and (ii) the ostentatious show on view at Meggetland, or as I was told by a man who remarked as passed me by as I took the pictures at Meggetland - that is the Eric Milligan Stadium!!! As a citizen of Edinburgh of now more than 25 years and a place I now call home, I am pleased to support your campaign to drag playing facilities out of the dark ages and at least somewhere close to the 21st century. At long last the issue is being brought to the doors and desks of those responsible for decades of neglect. During my years in the Capital, I have always sought to promote the development of grass roots football within schools. However, like many teachers in secondary schools and volunteers within youth clubs, I share an increasing sense of despair. Our young players are continually expected to perform and develop on an ever-diminishing number of fields, particularly within schools, which are then consequently overused with little, or any, additional maintenance. I recall an article by yourself in the Edinburgh Evening News of December 18, 2005, in which you quoted a grandfather describing faciliities in Edinburgh as being 'disgraceful'! I believe the gentleman who made the quote as being not only correct but also 'diplomatic'! The reality as we all know is that facilities in the Capital city are not only disgraceful, they are in fact an embarrassment to the entire country and beyond. Indeed, I doubt if there is a school or youth club anywhere in Edinburgh which has not had to aploogise to visiting teams from outwith the Capital for the squalid facilities. What a great impression we must imprint on the minds of our visitors! In addition, God alone knows what teams from outwith Scotland must think of playing in Edinburgh but, 'we won't be back' is probably a good bet. I was horrified to learn that the 'shacks' at Double Hedges are still there and still being used. I last visitied that particular venue with a school under-13 team more than five years ago and the changing rooms then were so disgusting that I refused to allow our boys to change in them. Instead, we use the minibus. Surely this 'facility' and the many others like it must be covered by Health and Safety regulations or is the City of Edinburgh Council so arrogant to believe that is 'above the law'? Answers to that one on a postcard! Finally, isn't it perverse that our MSPs are about to spend tens of thousands of pounds to protest themselves from 'terrorist' pigeons which, incidentally, I hope will continue to do to politicians as the politicians themselves continue to do the people! I wish you well in your campaign and hope that you will continue to contact me if I can be of any further assistance. Signed, Ronnie Dempster, match secretary, West Lothian Schools' FA. THIS IS WHAT WE ARE UP AGAINST FOLKS LOOK AT IT AND WEEP, THE YOUTH OF SCOTLAND HAVE NO CHANCE AS IT STANDS ITALY WORLD CUP WINNERS 4 TIMES NEED I SAY MORE !!!!!!!! !